3 Commercial Real Estate & Properties in Warnervale are listed in 1 categories. We have 3 Industrial Warehouses Lease . 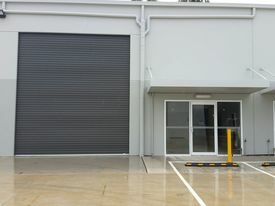 This factory/warehouse industrial unit is positioned in one the Central Coast’s most convenient Industrial Estates, basically next to the M1 Motorway. On offer is a high clearance factory/warehouse, with a combined floor area of 238 sqm (approx.) including an enclosed showroom/reception area and air conditioned mezzanine office, 3 phase power point, high & wide roller door, commercial grade aluminium glazed entry plus many more features. be quick to arrange an inspection. This outstanding 200m2 (approx.) full concrete factory unit has a flexible IN1 zoning quality amenities, great height, 3 phase power outlet and is perfectly located with a central location on the Coast, adjacent to the Sydney Newcastle M1 Motorway. The high and wide roller door provides excellent access from a large open car park and drive way with large turning areas. Great natural light & height for pallet racking!! CALL & INSPECT TODAY!! Bonus 32m2 (approx.) mezzanine and excellent air conditioned office and shower in quality amenities!! Area 194 m2 concrete panel construction Shared complex, toilet amenities office reception.